The winner of the grand prize for our “Pick One Spot” contest is… TINA POWERS. Congratulations, Tina! 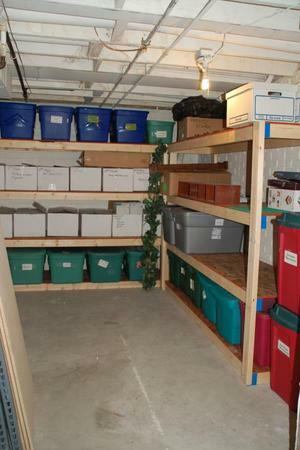 You did a fabulous job revamping your storage area! About a year and a half ago God provided us a new home closer to our church and we decided to refinish the basement to provide play space for the kids, a home office for my husband and storage for all our homeschooling materials. 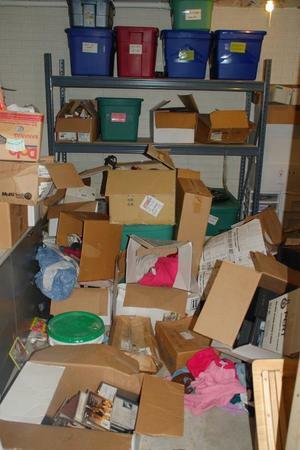 We never “unpacked” the boxes and moved them into this storage area in the corner - with hopes of only having to unpack them once. 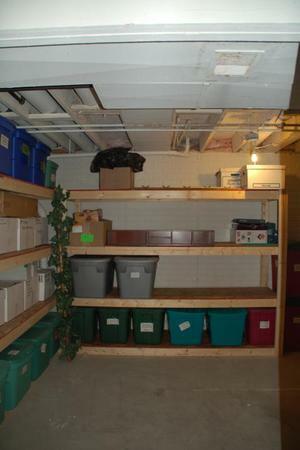 Well, the refinishing of the basement was halted mid-project - but we still needed the stuff from the boxes, and we needed to put more stuff in the storage area. Well, we ended up with chaos!! My husband built new storage shelves and we went to work. 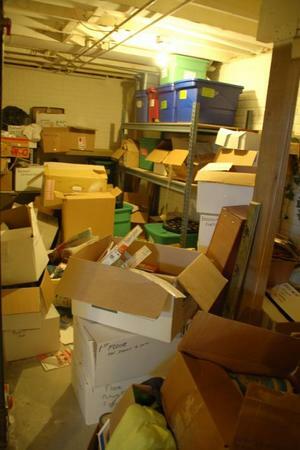 I have to also mention that I had the help of a very good friend, Corrine who kept me motivated and came in to help my cluttered mind make sense of the mess and reorganize. She is definitely a grace gift to me! Thank You, Corrine! It feels good to have one area gutted and cleaned! We have more rooms to go (they aren’t all as bad as this one) - but now that we are started - we are motivated to keep moving! Tina, looking at your “after” picture has motivated us all to “keep moving” with cleaning and organizing our homes for God’s glory!